Buying your first home can be both exciting and scary at the same time. It is likely going to be one of the biggest decisions of your life so far, so it makes sense to get all the information you can up front. This article deals with programs that can help you with the financial side of the process. There are several programs that may help you in buying your first home. You may find that you are eligible for some of them even if you are not a first time buyer. The Canadian government's Home Buyers' Plan (HBP) allows you to withdraw up to $25,000, tax free, from your RRSP for a down payment on a home. If you are a couple purchasing a home together, you may each withdraw $25,000, for a total of $50,000, provided you both qualify. The amount used is considered a loan, and must be repaid to your RRSP within 15 years. You may take advantage of this program if you haven't owned a home within the previous four years. There are other ways to qualify for the program, and other conditions, as well. 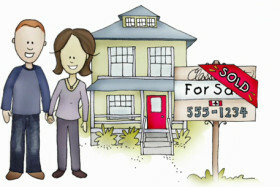 This program was introduced to help Canadians in purchasing their first home. It is intended to help cover closing costs, such as inspections, legal fees and land transfer taxes, so you can dedicate more of your resources for a down payment. The credit works out to a rebate of $750 for most people. When more than one person purchases the property, the combined amount cannot exceed $750. The claim is found on line 369 of the general tax return. Both the Province of Ontario and the City of Toronto offer land transfer tax rebates for first time home buyers. In Ontario, the full amount of Land Transfer Tax is eligible for a rebate, up to $4,000. A home priced at $227,500 would have exactly $2,000 of Land Transfer Tax. Any home priced higher would be eligible for the $2,000 rebate. For Toronto, the maximum rebate is $3,725 (proposed $4,000 effective 3/1/2017), and is subject to a number of criteria. The rebate will make homes up to $400,000 completely void of Toronto Land Transfer Tax. With these programs in place, there is considerable incentive to purchase your first home. Additionally, you may be able to secure a mortgage with as little as 5% down. Some lenders may also offer a cash-back mortgage that effectively reduces the down payment to zero, with conditions and a higher interest rate. When you take out a mortgage with less than 20% with a bank, it is considered a high ratio mortgage and must be insured against mortgage default. The insurance cost is added to the mortgage amount, and increases the payment, rather than requiring a lump-sum up front.